Posted on May 21st, 2018 in Uncategorized. There’s a charm that comes with innovation. The quad-concave hit the market early last year and caused an all encompassing stir in the small world we know as bodyboarding. Directing waterflow to maximise speed whilst also finding the trail of least resistance, the quad concave’s release preached a controlled ride with smooth release. Not to be patented and not to be limited to Nick Mesritz workshop, the quad concave’s splash-radius spread in flood water, brand to brand, rider to rider. 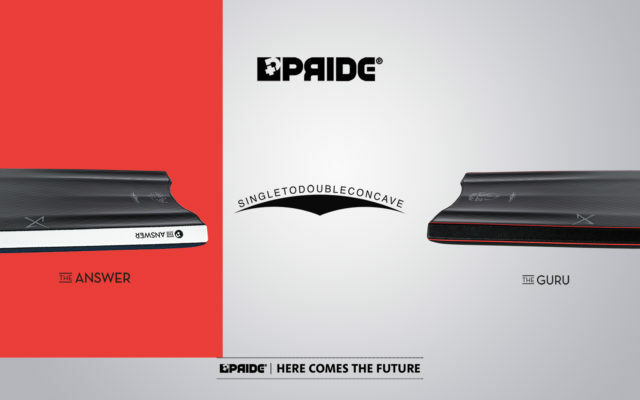 One year later Pride Bodyboards have offered response in their single to double concave approach. If you’ve something of an entry level experience to bodyboard, you should have something of an idea as to the role concave plays on your board. Those without the foggiest of ideas: the concave’s are the channels at the tail end of your board, they hold your line and act in a very similar fashion to that of which surfboard fins do on stand up boards. They differ in the sense that bodyboard concave offers more than just traction on the wave. 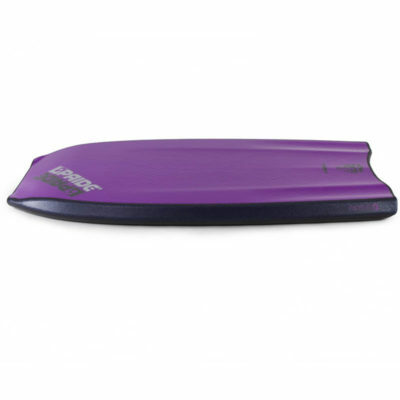 Bodyboard concave directs water flow and works to maximise speed throughout all conditions. 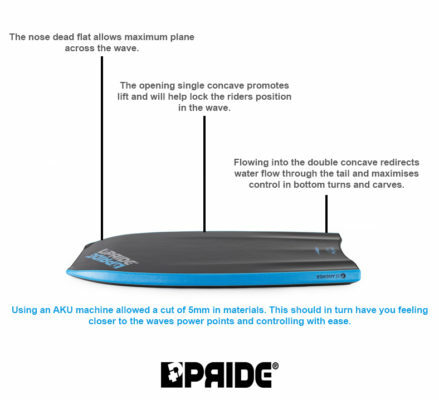 This is the basis for both the Quad Concave and Pride’s new Single to Double concave board. The nose of the Single to Double concave bodyboard is dead flat which immediately offers a point of difference in comparison to the Quad Concave from VS and NMD. The Quad Concave incorporates PFS3 and thus T90 beams from the nose down (understand that concept here). The dead nose on the Single to Double board allows maximum speed as you plane across the wave. It doesn’t trap excess water and rather expels it straight down the nose of the board. This flat section leads into a single concave which will direct water flow and offer the rider lift off of the face of the wave. This lift will offer speed by maximising the water flow through the concave. As you transition rails this singular directed water flow transitions out into four different channels, expelling the water through one of those four final channels will maximise your speed and loosen your tail allowing for maximum power when turning, carving or spinning. It’s worth noting that by using an AKU machine Pride were able to strip the boards materials down by 5mm. So, it’s probably the closest you’re going to feel to the ocean and theoretically one of the more controlled rides you’re going to come across. .
Is there difference between this and other new designs? It would most certainly appear that way. Landing for all boog consumers in the coming days. If you can’t hold onto yourself for that long you might like to check out the product page HERE, preorders are available on that same page.